Was 1918s Spanish Flu An Early Depopulation Tool Of The Parasitic Globalists? Was 1918's 'Spanish Flu' An Early Depopulation Tool Of The Parasitic Globalists Via Biowarfare? In a very interesting series of stories by Kevin Barry over at the website First Freedoms, Kevin asks if a vaccine experiment upon US troops all the way back in 1918 at Fort Riley, Kansas was the actual cause of what has historically since then been known as the Spanish flu, an outbreak that historians have called one of the greatest pandemics ever, one which many believe may have led to the deaths of between 50 and 100 million people. As Barry asks us within the first paragraph of his story, "What if the story we have been told about this pandemic isn’t true? What if, instead, the killer infection was neither the flu nor Spanish in origin?" Reporting then that newly analyzed documents reveal the “Spanish Flu” may have very well have been a military vaccine experiment which went awry, it's now documented historical fact that the first cases of the 'Spanish flu' did indeed strike in Haskell County, Kansas and Fort Riley, where as many as 500 young men were hospitalized in March of 1918 for a mysterious disease outbreak, before they deployed to Europe for WW1 and the disease spread and evolved into the deadly one which then killed millions. The majority of deaths during the influenza pandemic of 1918-1919 were not caused by the influenza virus acting alone, report researchers from the National Institute of Allergy and Infectious Diseases (NIAID), part of the National Institutes of Health. Instead, most victims succumbed to bacterial pneumonia following influenza virus infection. The pneumonia was caused when bacteria that normally inhabit the nose and throat invaded the lungs along a pathway created when the virus destroyed the cells that line the bronchial tubes and lungs. A future influenza pandemic may unfold in a similar manner, say the NIAID authors, whose paper in the Oct. 1 issue of The Journal of Infectious Diseases is now available online. Therefore, the authors conclude, comprehensive pandemic preparations should include not only efforts to produce new or improved influenza vaccines and antiviral drugs but also provisions to stockpile antibiotics and bacterial vaccines as well. The work presents complementary lines of evidence from the fields of pathology and history of medicine to support this conclusion. "The weight of evidence we examined from both historical and modern analyses of the 1918 influenza pandemic favors a scenario in which viral damage followed by bacterial pneumonia led to the vast majority of deaths," says co-author NIAID Director Anthony S. Fauci, M.D. "In essence, the virus landed the first blow while bacteria delivered the knockout punch." 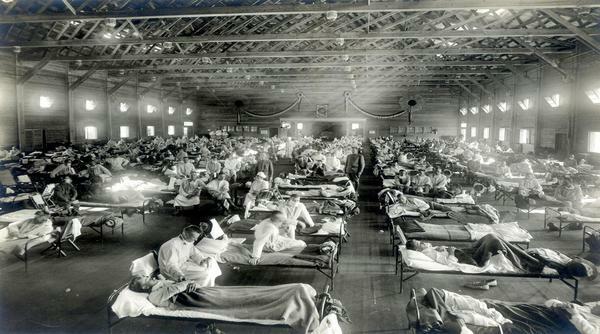 Yet as Barry also points out within his stories, while the flu generally attacks and is most deadly to the young, the elderly and those with compromised immune systems, the 1918 'Spanish flu' was particularly deadly to healthy people in the prime of their lives, with the Spanish flu eventually killing more people than everyone who died during WW1 combined. As one doctor said of the illness, "young healthy people would wake up fine but be dead by the end of the day." A Science staff writer, Jocelyn Kaiser, said, "Both the authors and Science's editors acknowledge concerns that terrorists could, in theory, use the information to reconstruct the 1918 flu virus." And yet the journal required that the full genome sequence be made available on the GenBank database as a condition for publishing the paper. 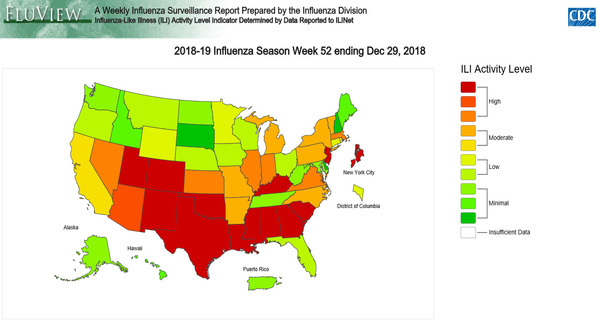 In this story over at MASS LIVE that the Drudge Report linked to Saturday morning they report that flu is now widespread across America, with flu victims now in at least 24 states with at least 13 pediatric deaths so far and people reporting symptoms such as a fever of 100 degrees, coughs and sore throats widespread throughout Massachusetts as well as in 23 other states. Warning within their story that most of the pediatric deaths from the flu this year have been due to H1N1, their story then pushes vaccines as the potential 'answer' to the outbreak though they also admit within their story "there is no cure". Unlike bacteria, viruses generally require a vaccination to prevent them in the first place or antiviral drugs to treat them. Often, the only treatment for a viral infection is to let the illness run its course. So what are we to do to best prepare ourselves and our families for anything and everything? While we are not medical doctors here at ANP, nor do we trust big pharma as far as we could throw them, we're well aware of an all-natural antibiotic which has proven over thousands of years of useage that it can be used to kill not only bacteria but viruses, fungal infections and parasites, while helping to contribute to a strong immune system and possibly even killing cancer cells. And while many antibiotics here in 2019 have become completely powerless to kill antibiotic resistant bacteria, garlic has been found to destroy the same antibiotic resistant bacteria and can be found as close as your local supermarket. Garlic has been used medicinally by many cultures around the world for thousands of years. In the 1700s, gravediggers in Europe drank wine containing crushed garlic or ate fresh garlic in an effort to ward off plague. The amazing disease-fighting powers of garlic have repeatedly tested true in thousands of studies. Garlic possesses potent, natural antibiotic and antimicrobial properties able to protect against plague. Garlic is also high in antioxidants that destroy free radicals, supporting a strong immune system. The active ingredient in garlic, allicin, contains antibacterial, anti-fungal and anti-viral properties known to kill numerous disease-causing bacteria. 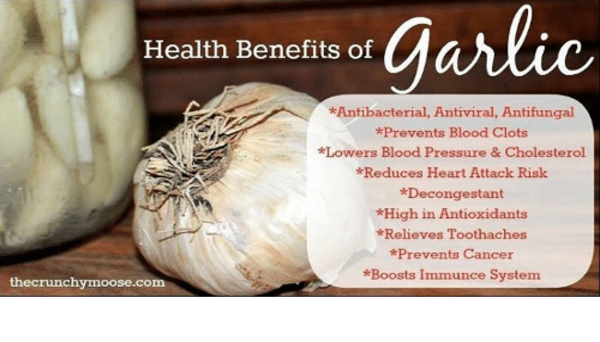 Because garlic has such strong immune-building properties, regular supplementation acts prophylactically, preventing bubonic plague from taking hold. The best way to use garlic to prevent and treat plague is by consuming it raw every day. Crushing it first releases it's powerful properties, increasing its potency. Next best use it in cooked foods in large quantities, daily. 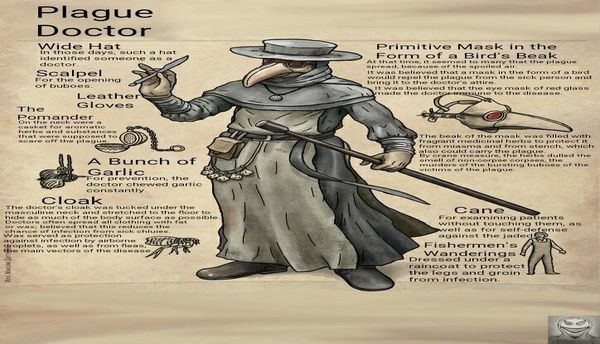 In fact, as we see in the graphic above of a plague doctor, hanging from his belt were a bunch of bulbs of garlic and as the description states, the doctor chewed on garlic constantly to help successfully ward off the plague. In fact, according to this 2007 story over at the Post and Courier, two medical doctors have found garlic to even be effective at killing off the most deadly form of brain cancer, glioblastoma, a disease that normally is a death sentence though they found the cure could be as close as the nearest produce aisle. But as the website 'How Stuff Works' reports, don't expect to get antibiotic and disease fighting properties out of garlic if it has been cooked as cooking the garlic destroys the allicin, one of the properties of garlic that provides its bacteria/virus killing and cancer fighting abilities. For anyone who may doubt the power of garlic to kill infections, Susan and I would both be happy to speak with you in our comment section below about the many successes we've had over the years of garlic killing off tooth infections that would normally require antibiotics to get over. And of course, we welcome comments with any suggestions from anybody on other all-natural, antibiotic success stories you may have had. Beginning at the 8 minute 45 second mark of the first video below, our videographer takes a look at this series of stories asking if a vaccine experiment upon US soldiers was the cause of the so-called 'Spanish flu' with our videographer asking a great question, "was the 'Spanish flu' an early depopulation tool of the parasitic globalists?" Meanwhile, in the 2nd video below our videographer explains to us how to properly use garlic as an antibiotic to kill off bacterial, viral, parasitic or fungal infections, explaining that it must be diced ahead of time to release the allicin and must not be cooked. And while he eats the garlic almost immediately after cutting it, I prefer to wait for 10 to 15 minutes. And in the final video below, videographer Canadian Prepper explains why he believes that World War 3 will be fought not with nuclear weapons but with bioweapons, and a recreation of the 1918 Spanish flu might be the perfect lethal weapon, especially with the US government giving access to its deadly recipe back in 2005 to anyone who might have wanted it.